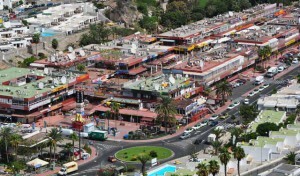 Puerto Rico, literally translated “the rich port” in the south of Gran Canaria. Many culture and architecture there is not in Puerto Rico. It is a modern resort with a beautiful marina and artificial beach. Puerto Rico is situated between Puerto Mogan and Arguineguin and close to the beach of Playa de Amadores. Puerto Rico is built in the 70s in the valley between the Barranco del Lechugal and Barranco de Puerto Rico. Scandinavian and British tourists finding each year their way to this oasis and palm trees. On holidays you want to enjoy life. People like you and I have always special requests for their holidays. I always look for a combination of beach, culture and nature. You may be looking for a holiday with the aim of many chill out and relax. Puerto Rico is therefore the proper location, partly because of its location between the high cliffs, it is warmer here than the more northerly places like Playa del Inglés and San Agustin. The sometimes-present trade winds has less grip on this coastal resort. Puerto Rico can count each year on an influx of thousands of tourists which the vast majority of Europeans. Especially Norwegian tourists know this seaside resort on their hand. The proof of this is the presence of a Norwegian school, a health center and a Norwegian club where meetings and conferences be organized for the Norwegian community. Puerto Rico has a wide range of accommodation like hotels and apartments. The first thing you notice when Puerto Rico is nearing its white walls and terraces they pull up to the rocks. The advantage when you rent an apartment as a holiday here, you always have a breathtaking view of the bay. Old historical buildings you do not find in Puerto Rico. What do you have here, a beautiful beach, shops, bars, restaurants and two beautiful harbors, including a marina, Puerto Escala and Puerto Base. A tour along the marina let’s you dreaming at the sight of the numerous luxury yachts. 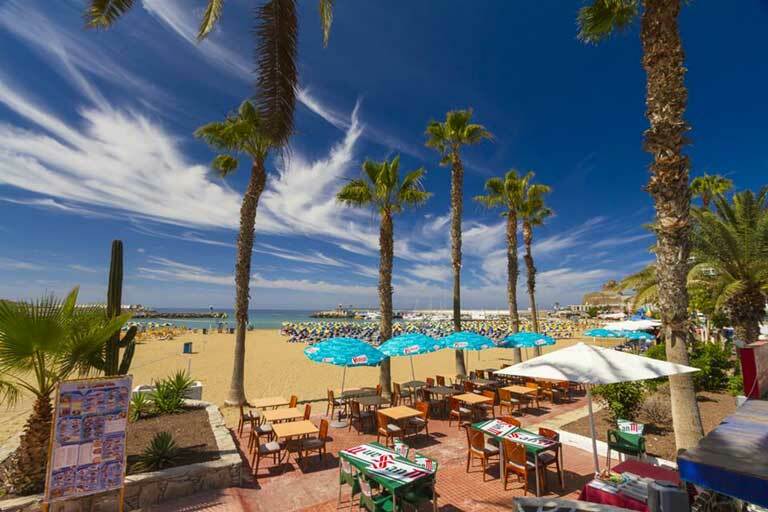 A stroll along the first artificial beach in Gran Canaria can be done via the short Paseo Maritimo. The beach is in a bay and is thus protected from high waves. This is like the Playa de Amadores, the seawater calm and bright blue, and thus very suitable for a family vacation with children. If you are a sun worshiper who likes the whole day dreaming of a brown body, then the soft sands of Puerto Rico are definitely worth considering. Now I can imagine that you’re not a fan of the sticky and hot sand. That’s no problem, Puerto Rico has a stone wall on which deckchairs are positioned near the beach. These loungers can rent locally. Near the beach there are some small parks where you can relax under the shade of the palm trees and enjoy the flowerbeds. 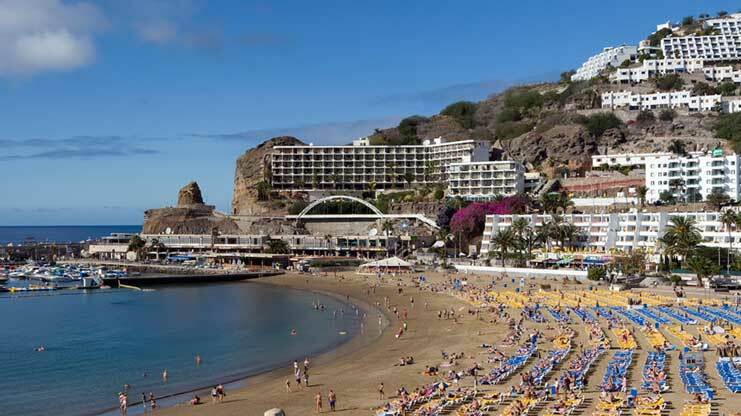 Maybe another tip for a healthy morning trip, a stroll along the coast to the beach of Playa de Amadores. It takes some steps but well worth the effort along the 1 km long promenade. Enjoying your vacation in Puerto Rico is not only sun and beach. You also can kick start on one of the many terraces of a local bar or restaurant. Do you have in the meantime a shopping mood created, then you can go to the many beach shops or shopping centers. The main shopping center is the Centro Comercial Puerto Rico Mogan or Centro Civico. The range of products such as electronics, perfume, flowers and swimwear are only some of the many shops that tempt you as a tourist with low prices. Nevertheless, it remains well above compare prices. 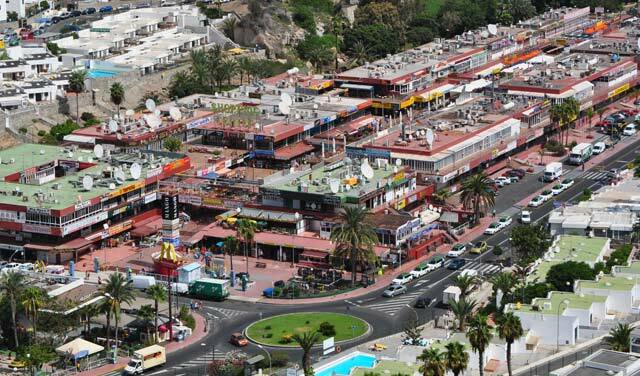 Agua La Perra and Europe are the other smaller shopping centers where you also have a supermarket for any purchase of food and soft drinks. The stores in Puerto Rico are generally open from 9:00 to 22:00. The company Lineas Salmón SL which has existed since 1969, organizes daily excursions by boat or with the bus. The boats are also adapted for disabled people and wheelchair users. 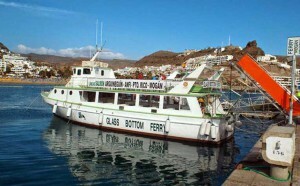 A trip from Puerto Rico to Puerto Mogan and Arguineguin takes you back and forth for just a € 11 per person. Every fourteen days there is in Puerto Rico on Sunday, make a small market near the mall. Here are more local products for sale by local farmers or agriculturalist. Biological fresh produce, delicious canary cheeses, breads, fruits and vegetables in this market are the crowd pullers. Gran Canaria is also known by golfers. A short distance from Puerto Rico there is a golf course on site. The nights out or nightlife in Puerto Rico be situated around or in the malls. Just like in Playa del Inglés or Maspalomas are the bars here open until the early hours, and pamper their guests with happy hour. One of the famous night bars with tourists is Piccadilly’s. The music presented by DJ’s is ok and am occasionally supplemented with karaoke. The atmosphere is always unique. Sports activities and fishing for water sports enthusiasts and finding tours at sea are in abundance near the marina. At the numerous excursion positions vendors trying to convince their voyage in search of dolphins and whales is the best. You have to be lucky to see dolphins or whales, but they are sure. In the waters around Puerto Rico there are 29 species of whales and three species of dolphins. This natural area around Puerto Rico also has a great ecological value for Europe. Sport fishermen at sea go in Puerto Rico certainly find there way. Each year will be in Puerto Rico Fishing Championship organized recognized by IGFA (International Game Fishing Association), which is frequented by anglers become of the Canary archipelago but also from around the world. Are you an active and avid watersports enthusiast than I can definitely recommend the jet ski rental or windsurfing. Please enjoy prefer to relax on the sea, and another to do the work, then a tour with a super large catamaran definitely a must. Now that we stay at sea I can give that Puerto Rico for tourists has a sailing club and sailing school, so you can get during your vacation sailing master. Scuba divers can visit the diving center Diving Center Puerto Rico. You can reach Puerto Rico from Playa del Ingles or Puerto de Mogan via the coastal road, the GC-500. By motorway GC-1 you can also reach Puerto Rico today to exit No. 62. By public transport from the Global bus, take bus No. 33 Playa del Ingles – Puerto Rico – Playa de Mogan. A ride from Playa del Ingles to Puerto Rico will cost € 2.75 per person. If you have an AB or Cabildo Pass is it cheaper. Is your departure from Telde or the airport of Las Palmas then brings bus No. 90 (Telde – Faro de Maspalomas) you to the bus station of Maspalomas where you must change to bus No. 33. Taking a trip to Puerto Mogan and Arguineguin is possible through the boat with Lineas Salmón SL This line is often used by tourists because you get an exceptional view of the rocky coastline from the Atlantic Ocean.